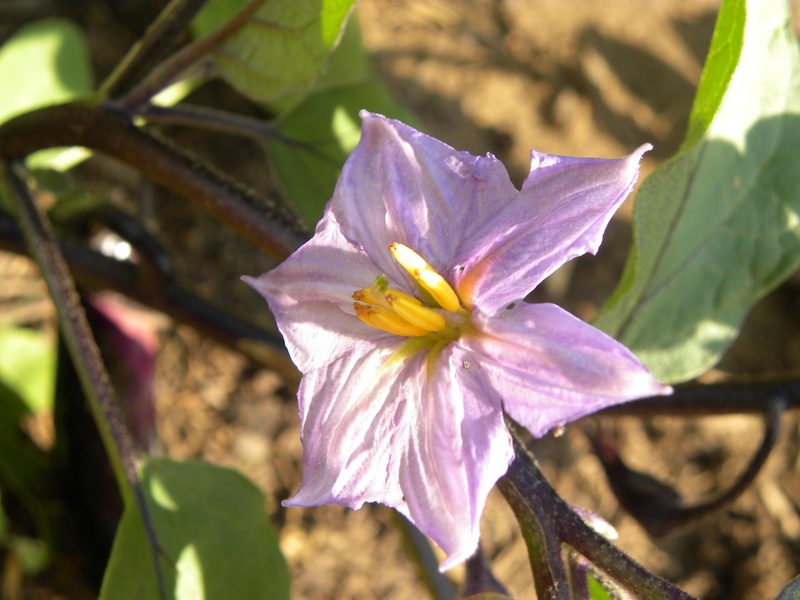 Our first edible from the new vegetable garden: Japanese eggplant. 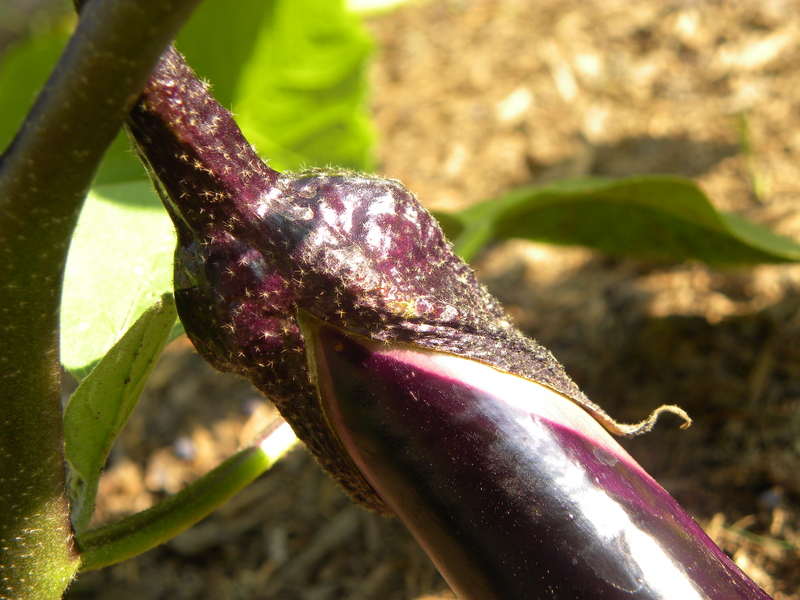 I lurve veggies, with the exception of eggplant. So pardon my lack of enthusiasm. I got the Japanese variety because they are smaller and less offensively ‘spongie-wungie.’ Just the thought of eggplant marinara makes me scrunch my face up in anticipation of a leathery, purple-peeled, sloppy, floppy sponge. I was first turned on to the variety when I purchased a book on Japanese pickling methods (tsukemono). The hubster adores eggplant, so I had to try to find a dish we could both enjoy. Many of the pickling methods hinge on removing water from the vegetable, thus changing the texture to something I might be more inclined to put in my maw. Of course, they do have the longer-commitment pickling with vinegar, salt, sake lees, or rice bran. There are also recipes for pickling with wine, soy sauce, or malted rice. I’d go into the culinary history and cultural exchanges resulting in the recipes, but you’d likely be bored by that. ‘Tis the stuffs of a PhD thesis. Recipe for pickled Japanese eggplant, courtesy of Tsukemono: Japanese Pickling Recipes by Ikuko Hisamatsu. The pickling time is a mere 30 minutes. 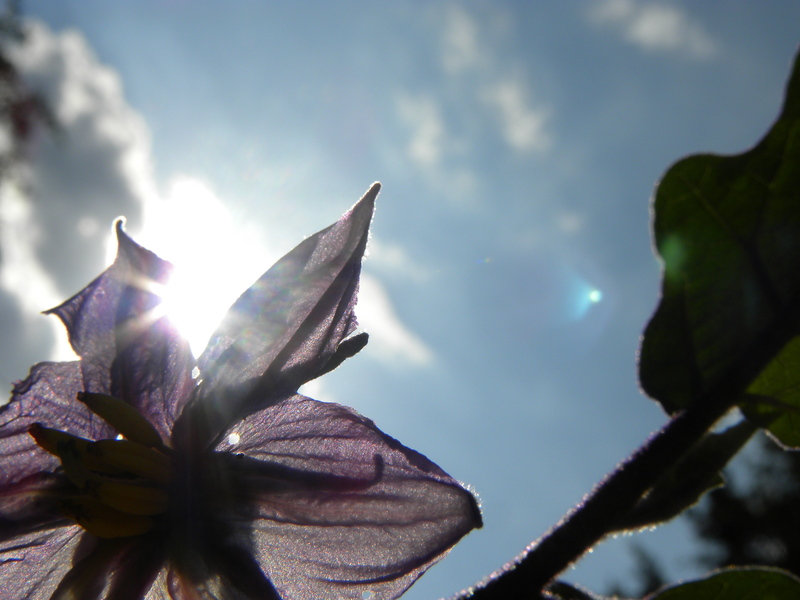 Slice the eggplants into quarters and flash fry them in vegetable oil. Add to the pickling medium. Briefly fry the bell peppers, drain, and add to the medium. Add the remaining veggies (sliced), toss, and let cure for 30 minutes.